This week we commemorated Yom HaShoah, Holocaust Remembrance Day and Yom HaZikaron, Memorial Day for our Israeli Soldiers. Since Yom Ha’Atzmaut, Israel’s Independence Day didn’t begin until sundown on Wednesday, we will be celebrating this coming Sunday, April 26th. We ask all students to wear blue and white clothing in honor of Israel’s Independence Day. Speaking of Israel, the annual Israel Solidarity Day is coming up on Sunday, May 3rd. We will be having regular SJS until 11:00 a.m. At that time, we ask for all students to be picked up and we highly encourage you to attend this year’s event at Ravinia. For the schedule of events and all the details you will need to know, please click here. We hope that several of our 3rd through 5th Graders will join Miss Jamie Cooper and Ruach for their field trip to Nickel City this Sunday., April 26th Please see Miss Cooper’s email and respond to her as soon as possible. Her email is jcooper@amyisrael.org and her cell phone is (847) 962-1478. Our deep condolences go to our Cantor Simon and his wife Bonnie on the loss of her mother of blessed memory. Mazal Tov to our Zayin student Ava Kelber, as she will be called to the Torah as a Bat Mitzvah this Shabbat. Mazal Tov to Ava’s entire family, including her parents Jenny and Michael and siblings, Jacob and Lyla. This weekend we have SMFP and our annual Yom HaShoah commemoration. Between the Main Sanctuary and our library Family Tefillah we have a total of 22 students reading/chanting from the Torah scrolls. What a statement that is when you look at the faces of our students in the collage above and know that they are the future of our Jewish community. We can never take for granted the fact that our students have the religious freedoms to be able to practice the rituals and customs of the Jewish people. We hope and pray that our future is bright and part of keeping it that we is never forgetting our past. 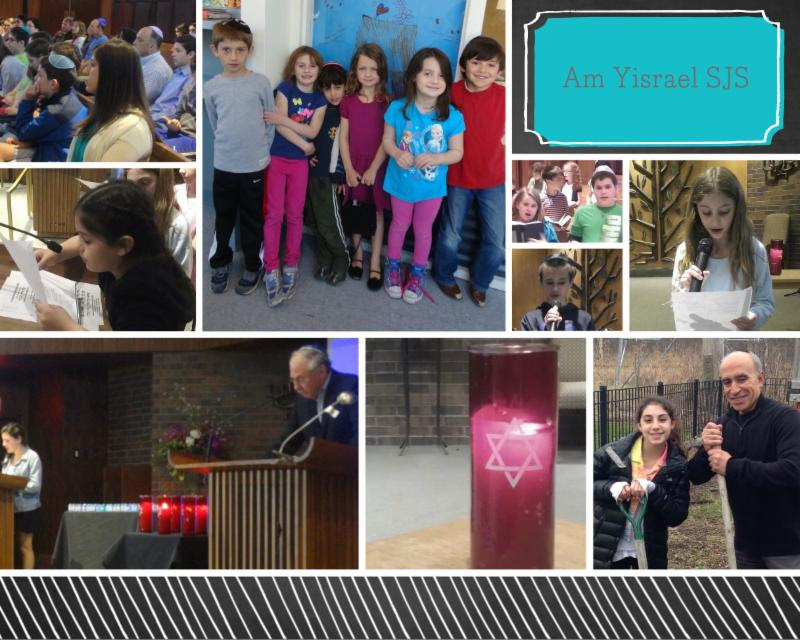 We encourage the adults within of our Am Yisrael SJS community to join the congregational Yom HaShoah program in the Sanctuary at 10:30 a.m. this Sunday, April 19th. Dr. Lefkovitz, our resident expert on Holocaust education will lead a meaningful program, which will include our Vav, Zayin, Prozdor, Pardes and Confirmation students. As you engage with your children about their Jewish Studies, please be sure to check out the Class Home pages this week. We look forward to seeing you this weekend for these very important programs. Shabbat Shalom! Yesterday our students enthusiastically returned to continue their Jewish Studies. Our Zayin students are putting the finishing touches on their Mitzvah Project Trifolds which they will be presenting to the Clergy, their parents, the Vav parents and our Gan through Vav students. This program has evolved into an opportunity for our students who are becoming Bar or Bat Mitzvah to share with the SJS students who are younger than them their passions to help repair the world. We are also thrilled to invite Shalva to SJS this Sunday continuing a tradition of our Vav students and their parents discussing the ramifications of bullying and the importance of not standing by idly and watching it happen, through a Jewish lens. Special thanks to our congregant Naomi Senser for facilitating this discussion. We hope that many from our Gan, Aleph and Bet classes will join our Shalom Club Director Jamie Cooper on a bowling field trip immediately following SJS this Sunday. Please contact Miss Cooper to RSVP or if you have any questions: jcooper@amyisrael.org or 847-962-1478. Finally, our Pardes and Confirmation students will prepare to help lead the congregation in a Yom HaShoah Commemoration program, taking place on Sunday, April 19th. We look forward to seeing all of our students this Sunday morning. In the meantime, Chag Pesach Kasher v’Sameach and an early Shabbat Shalom! No SJS 4/5; SJS resumes 4/8: Chag Sameach! Just like that, it is warmer outside and our “Holiday of Spring”, Pesach Chag Ha’Aviv is about to take off! 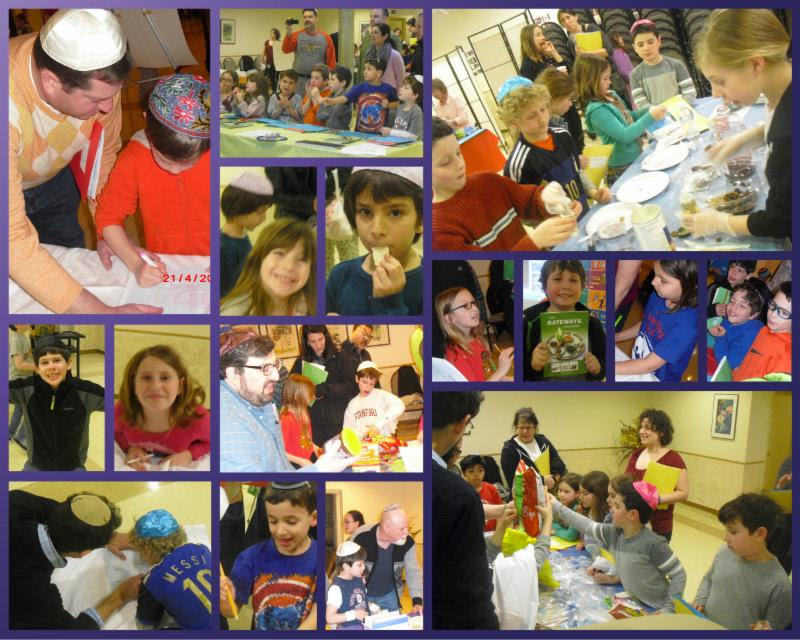 Hot off the press are some fun pictures from our recent Passover University. As a picture says a thousand words, the pictures give me a better sense of the day, since I was based at just one station the whole time. I hope they do the same for those of you who were unable to join us. 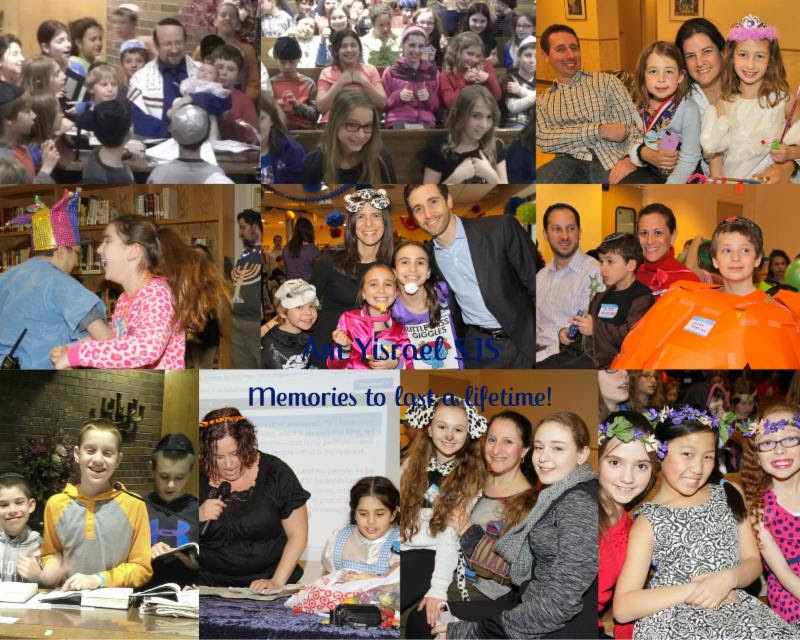 As you engage with your children about their Jewish Studies, please be sure to check out the updated Class Home pages and feel free to forward this Limmud E-Newsletter to prospective members who are looking for a synagogue to call home. Hebrew Practice instructions can be found here, as we continue assessing our students on their progress. We will not be having classes this Sunday, April 5th in honor of the celebration of Pesach…one of the most universally celebrated holidays on our Jewish calendar. 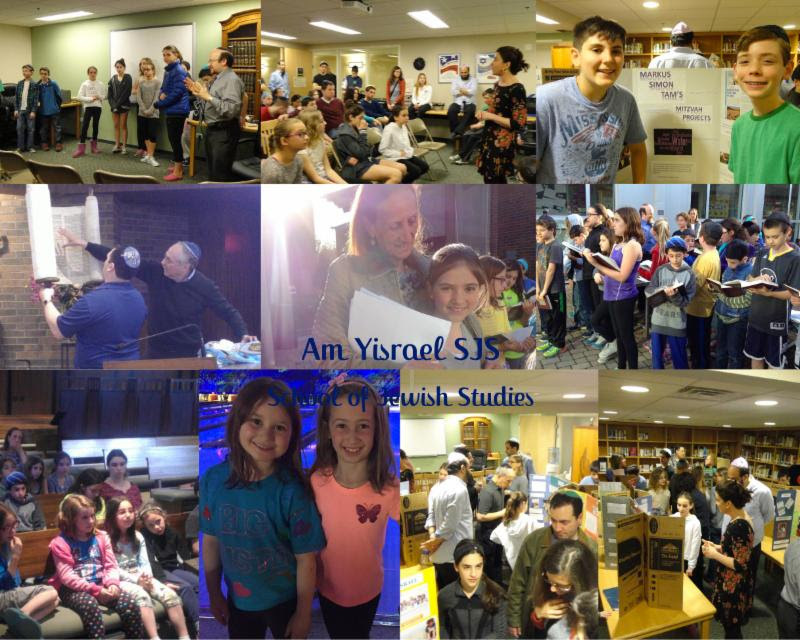 We will look forward to seeing our Gimel through Zayin students back at SJS on Wednesday, April 8th, the entire SJS community on Sunday, April 12th and before we know it, we will have our next SMFP on April 18th. Chag Pesach Kasher v’Sameach and an early Shabbat Shalom!